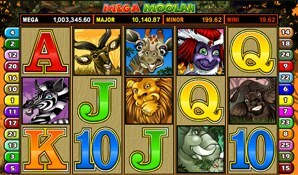 Mega Moolah Jackpot Winners Stories. J.F. landed a life changing win of €99,324 in August 2015 playing Mega Moolah at UK Casino Clu. I was in shock to be honest; I had to check I was actually logged in! Weve been saving a deposit for our own home so this money will help secure us our first family home. I told my daughter and her first response was great, you can buy me an iPhone6 now.